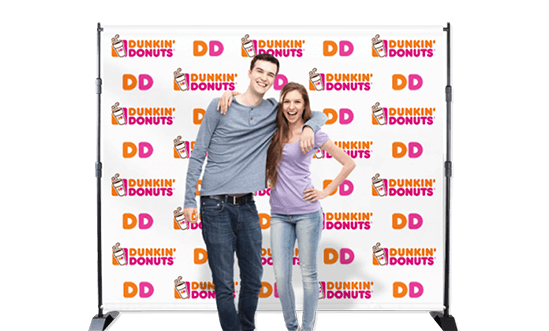 With our custom printed backdrops, you can create the perfect background to set the stage for a fun photo booth or create a background for your company video. A photo background should come with a repeating pattern, whether it's a message or your company logo. We can print the backdrop using your artwork or a brand new logo design with your preferred layout.